Feb 4 (AZINS) Any dispute in the execution of Inter-Governmental Agreement for Rafale jets will be settled through the Bilateral High Level Group established by India and France, the government said Monday.In a written response to a question in the Upper House, Defence Minister Nirmala Sitharaman said if any dispute between the two sides remains unresolved by the group, it will be settled by arbitration in accordance with the United Nations Commission on International Trade Law. Elaborating on the Inter-Governmental Agreement (IGA), she said the defence deal was signed on September 23, 2016 for the purchase of 36 Rafale fighter aircraft in fly-away condition, along with an initial consignment of weapons, maintenance support through performance-based logistic, simulator and associated equipment.In the IGA, the French government has provided a 'Letter of Comfort' signed by the French prime minister.The provision in the IGA along with the Letter of Comfort "provides adequate safeguards" to the Government of India, Sitharaman said. "Any dispute in the execution of the IGA will be settled through the Bilateral High Level Group established by the Government of India and Government of French Republic. 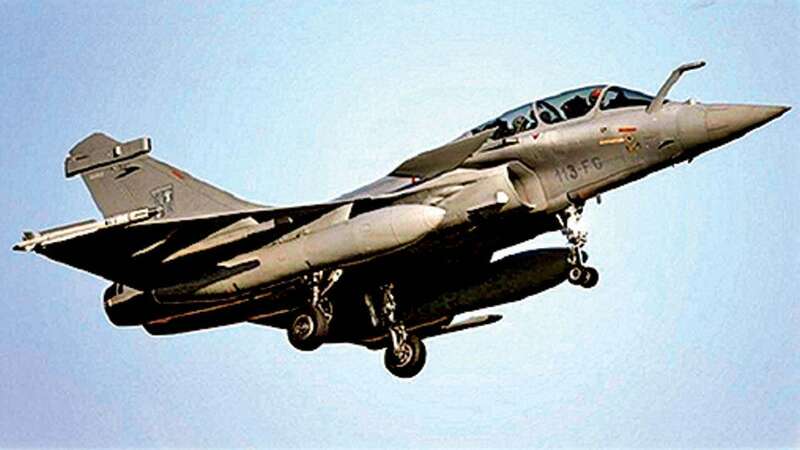 Any dispute not settled by this group shall be settled by arbitration in accordance with UNCITRAL arbitration rules," she said.The minister said the unit cost of basic Rafale aircraft in procurement through the IGA was about 9 per cent cheaper than the price arrived at in unconcluded MMRCA process in which Dassault Aviation was L1 bidder in a global open tender. In the procurement of 36 fighter jet, provisions of Capital Acquisition as provided in the Defence Procurement Procedure (DPP) have been followed, the minister noted.Elucidating the price of the fighter jet, she said the basic aircraft price has been disclosed to Parliament and the government has shared all pricing details with the Comptroller and Auditor General. "Disclosure of comprehensive pricing details in the public domain which overlap with sensitive details of kind of systems, equipment, weaponry etc. will not be in the interest of national security. Further, pricing details are covered by Article 10 of the IGA which provides that the protection of the classified information and the material exchanged under IGA shall be governed by the provisions of the Security Agreement signed between Government of India and Government of France on 25th January 2008," she said. The supply protocol for 36 Rafale jets has provision for commercial confidentiality, Sitharaman noted.The non-disclosure of the Rafale jet's price has been one of the major issues over which the Opposition has been attacking the government.The package cost of 36 Rafale fighter jets through IGA route includes design and development and there was no increase in prices and the total package price was approved by the Cabinet Committee on Security, she said.